Lau Haizetara, the Documentary Co-production Forum, announces the projects selected for its fourteenth edition, which will be held between the 25th and 27th September, within the framework of the San Sebastian Film Festival. Chosen from among a total of almost 90 inscriptions, four of the 14 selected projects are Basque, while the remaining ten come from Argentina, Italy, Norway, Mexico, Cuba, Germany, Armenia, Canada, Dominican Republic and Indonesia. The large number of projects received and their diversity shows the strength of this forum, a large, successful meeting place for professionals within the sector. 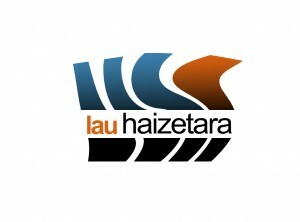 In addition, as a result of the collaboration between the Lau Haizetara Forum and the FIPADOC Festival (International Festival of Audiovisual Programmes of Biarritz) and DocsBarcelona (International Festival of Documentary Cinema) to boost the presence of projects in different complementary markets specialising in the documentary genre, the projects “No Women, No Revolution” and “Mal de Caña” have been selected. These projects participated in the latest editions of said festivals, respectively. This year, the selected projects will once again return to the facilities at Tabakalera to take part in the workshops prior to the forum. Two intensive days (25 and 26 September) during which Catherine Ulmer and Ventura Durall will be the tutors entrusted with providing the appropriate tools to perfect both the pitching and the one-to-one meetings which the producers will have on 27th September in the Kursaal Congress Centre in San Sebastián. Organised by IBAIA and the San Sebastian Film Festival Industry Department, a total of 156 projects from more than 15 countries have already participated in this Forum, 50 of which have been released and 10 of which are in the finalisation phase.